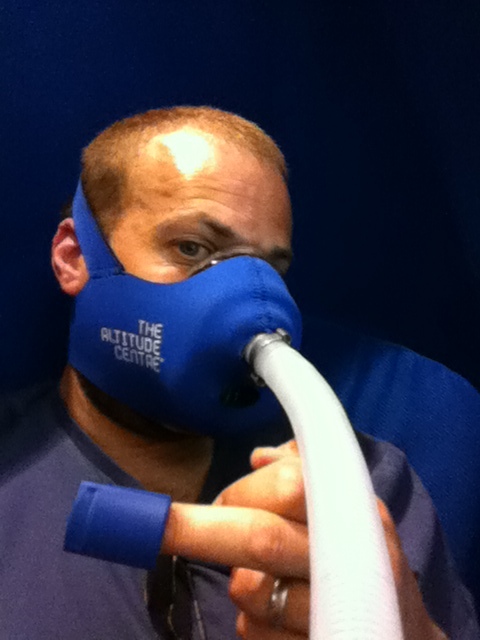 I’ve just started a course of Intermittent Hypoxic Exposure (IHE) using the Altitude Centre’s POD in Manchester’s Ellis Brigham store. It works by allowing me to breathe rarefied air and so expose me to lower oxygen levels with the aim of triggering some physiological changes to help me “pre-acclimatise” before I get on to Kilimanjaro. I’ll be trying to get a 40 minute session in each day until we leave a week on Friday. I don’t know to what degree it’ll help but I’m pretty much happy to try most things to give me the best chance of reaching the summit! Categories: Kilimanjaro, Training | Permalink. Dare I ask how expensive this was? 8 Day trek to summit Mt.Kilimanjaro via the Rongai route to raise funds for PSC Support.